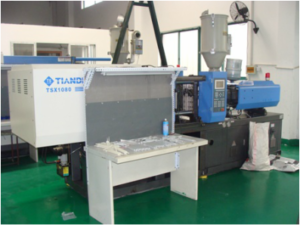 Our company has experience with injection molding of thermo-elastic plastics. The Wikipedia defines a TPE of :sometimes referred to as thermoplastic rubbers, are a class of copolymers or a physical mix of polymers that consist of materials with both thermoplastic and elastomeric properties. 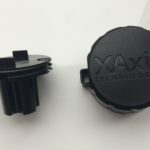 This means that it ‘s plastic material, or in it’s rough from bough as granulate resin, that can be simple injection molded , and out of the mold it behaves like a natural rubber. We have made TPE parts for medical use. ; See the movie hereunder. Varying from very flexible and tough to relatively stiff and brittle. TPUs have an exceptionally high wear resistance. Depending on the type of variable from approx. 25 shore A to approx. 80 shore D.
Depending on the type: can be used from -60 ° C to + 150 ° C.
TPEs are not transparent; well colored. Some versions do not allow bright colors.